Time and pollution are enemies of historical buildings, monuments and artworks. Unaesthetic black crusts are common views in our cities nowadays. Removal by chemical or mechanical treatments is an aggressive solution that irremediably alters the original look of the artwork. 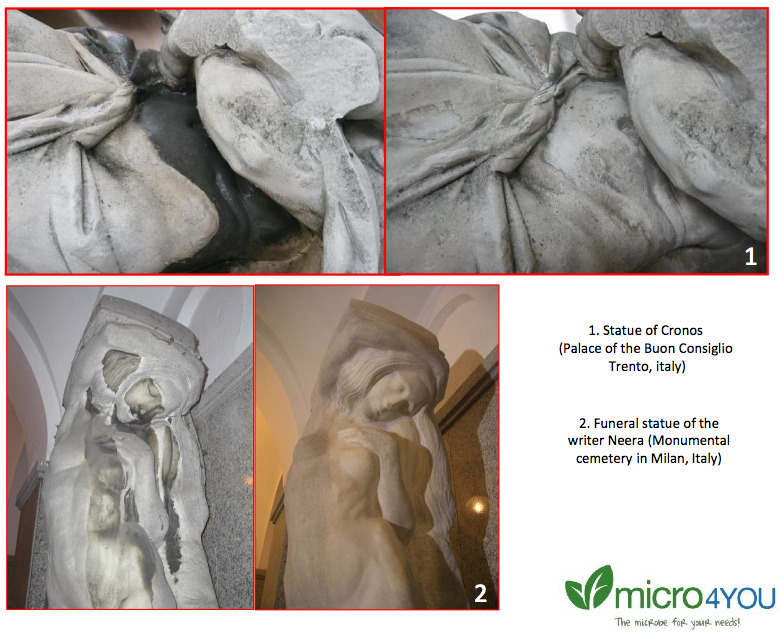 By means of a selective metabolic activity, the bacteria of Micro4Art can specifically and efficiently degrade the black crusts preserving the ancient look (noble patina) of stone surfaces. Easy to apply, efficient and completely safe for the operators and environment. 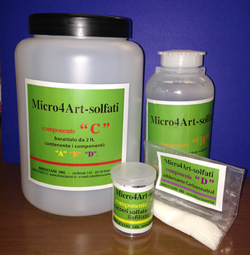 Micro4Art: the solution of the future to preserve our past™.